Manufacturer of a wide range of products which include hdpe grass pavers 500x500mm. 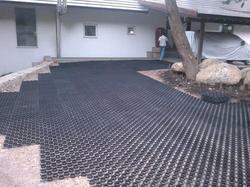 HDPE Grass pavers are plastic pavers having the high compressive strength of up to 150MT/sqm. It is a green building product and has a high green area.